Shaving, razor burn, waxing, tweezing, and so on. Hair removal is known for its inconvenience, repetition, and often times, the pain associated with a nick or razor burn. Fitting this monotonous task into your weekly, and sometimes daily routine, can be tedious and exhausting. Choosing laser hair removal can help take the drudgery out of your daily routine and provide additional benefits as well. Let’s take a look at the overall process of laser hair removal as well as the perks that coincide with it. Laser hair removal is a service that uses a beam of light to damage the hair follicles, thus reducing hair growth. The hair on our body grows in three different stages, which are anagen, telogen and catagen. Laser hair removal is most effective on the anagen stage of hair, also known as the early growth phase. The light beam that is used is highly concentrated and converts energy into heat, then is absorbed by the pigment, damaging the follicle and stunting hair growth. Over time, hair growth will continue to decrease and provide less and less hair to remove. The result can vary from person to person but has been proven to drastically reduce hair growth. The more often you get it done, the more likely you are to have sparse hair growth over time. 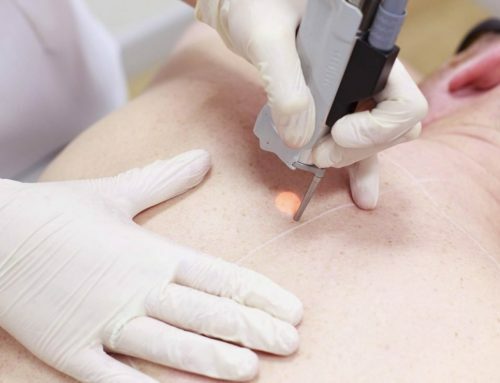 Laser hair removal has been around for nearly two decades and has given extremely beneficial results. Since its starting, the FDA has now approved the procedure for “permanent hair reduction”. As mentioned above, the hair that responds best to the laser treatments will be in the beginning stages of growth (anagen), which is why a series of treatments is highly recommended. Hair doesn’t grow at the same time and will need to be treated consecutively to be effective. Laser hair removal treatments are extremely efficient. The procedure covers large areas of hair and can take as little as a few minutes. Each client and their hair growth is different, so the time will vary. Regardless of the client, laser hair removal is a quick treatment that requires no recovery time once it’s completed. All in all, the process is clean, simple, and quick. If you have ever gone the waxing route with your hair removal, you’re familiar with the dreaded inbetween time. You know, the time when you need to make sure you’re wearing pants or sleeved shirts while the prickles underneath seem to be the only thing you see. Unlike waxing, laser hair removal allows you to shave in between appointments. So you can stay smooth without affecting your upcoming treatment. Shaving and waxing can cut or break hair unevenly, which creates a sharp tip and results in ingrown hairs. Because laser hair removal is using a light, there is a lesser chance of ingrown hairs occurring. Additionally, as treatments continue and the hair grows back, the texture will be much more fine and sparse which removes a lot of the threat with coarse, sharp hair being broken off. Between the razors and shaving cream, you may be surprised at how much you could be spending to keep the hair away. Though more expensive up front, laser hair removal will drastically reduce, and potentially remove, the need for continued purchasing of shaving accessories. Though waxing is known to be another avenue to remove hair, the cost and results of laser hair removal far outweigh waxing treatments. Though pain tolerance varies depending on the individual, laser hair removal is known to be drastically less painful than waxing. Some areas will be more sensitive than others, and can still feel like a snap of a warm rubber band. However, if pain tolerance is a bit higher, it can feel as minimal as soft pinch. To find out if you’re a good candidate for laser hair removal, contact Shira Laser today! We offer free consultations and are here to answer any questions you may have. We also offer microblading, the most natural brow solution. Visit our website and learn more about our laser hair removal and microblading services.